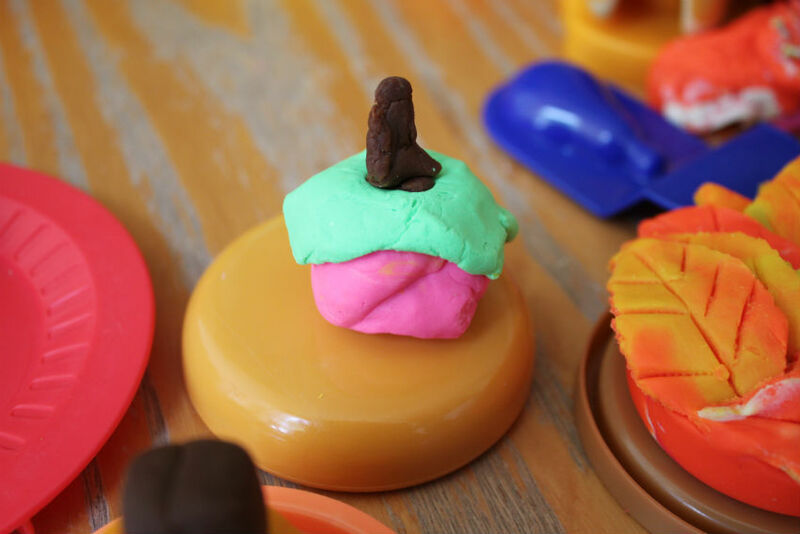 Play-Doh is a great thing to play with your kids even when you're just phoning it in. 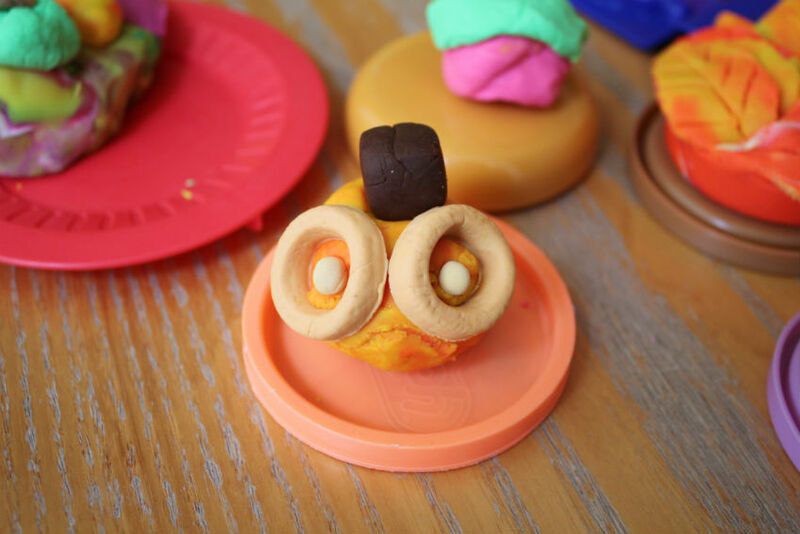 The anxiety I get having to stop mid-stream on projects of mine because my main job is mom can be pretty heavy sometimes. I try hard not to let myself feel that distracted too often, but it happens. Working with your hands can obviously be grounding. If you don't get grounded, it's still hard for others to tell you're miles away in your head. That was my technique last Sunday, anyway. 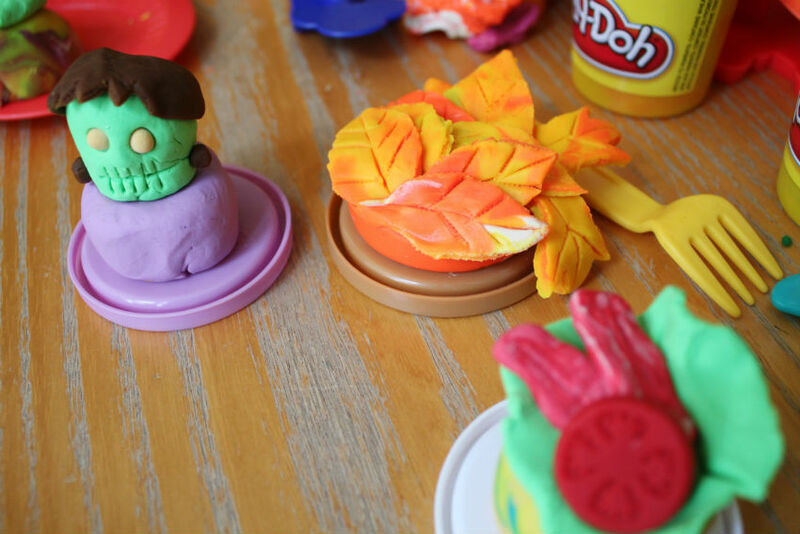 A little game of fall themed cupcake wars. David was the judge. It ended in a tie. 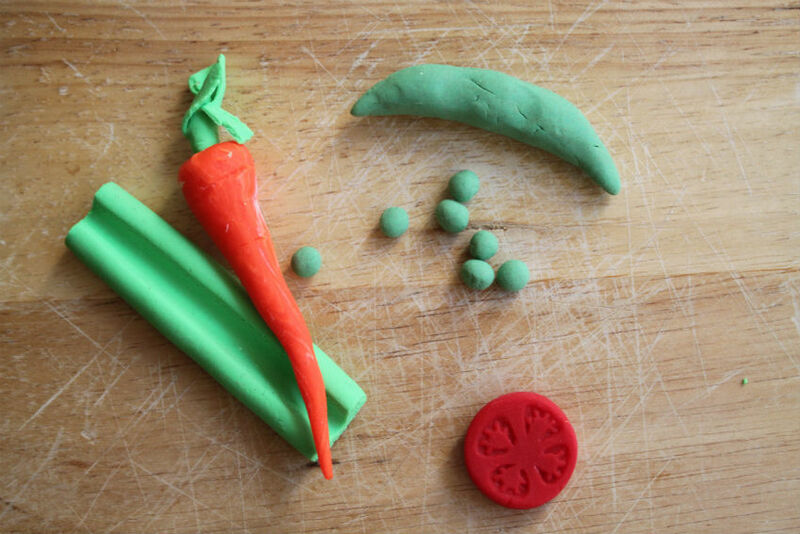 Why don't I make my own Play-Doh? I don't know, I really should.